Product prices and availability are accurate as of 2019-04-23 17:39:37 UTC and are subject to change. Any price and availability information displayed on http://www.amazon.com/ at the time of purchase will apply to the purchase of this product. 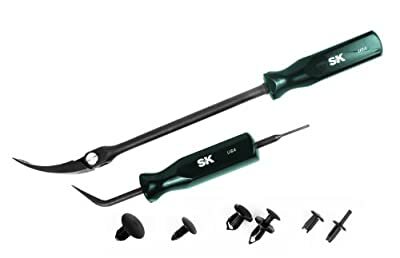 Includes Indexing Head Body Clip Puller, Push-In Rivet Puller & Punch, most common replacement fasteners and packaged in a convenient tech tray. Removes essentially all plastic automotive fasteners without damaging them or surrounding surfaces including two piece plastic rivets, mass style retainer clips, body clips, grommets, wiring loom retainers and double sided tape. Applications include removal of door trim, trunk and hood insulators, dash and door panels, inner fender liners, radiator shrouds, engine compartment covers and undercar splash shields. Indexing Head Body Clip Puller features tapered tips to allow entry under flush mounted clips, radiuses base for even distribution of pulling forces. 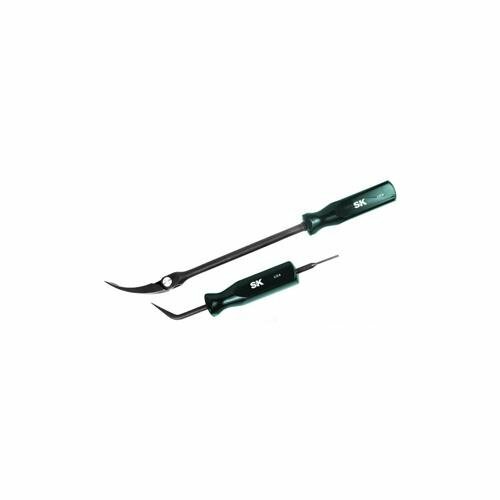 The Push-In Rivet Puller & Punch is double ended to address the two main types of plastic rivets featuring a punch to depress center pins and pry tip for pulling center pins and bodies of rivets. 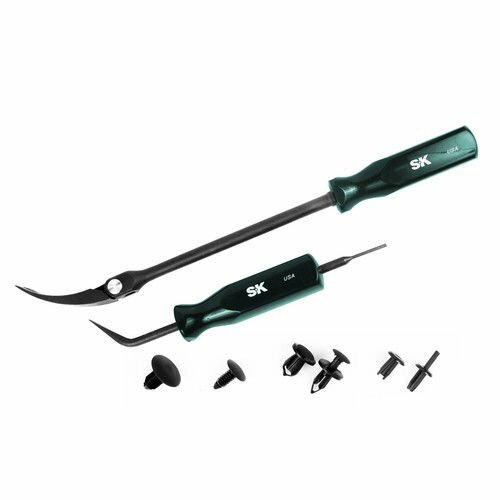 Both tools feature Sure Grip handles for secure grip with greasy hands. Set ships with 20 replacement fasteners in the four most common size/styles and is packed in an expandable tech tray to easily keep tools and replacement fasteners organized.